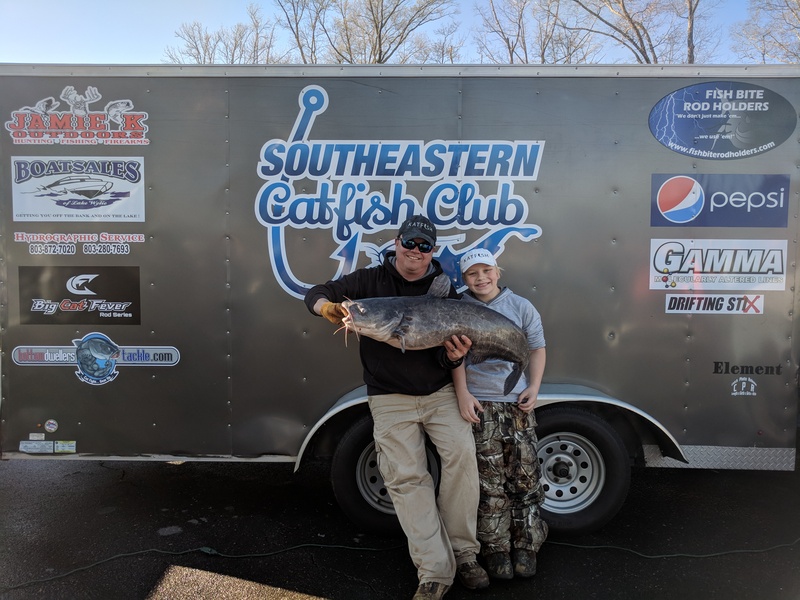 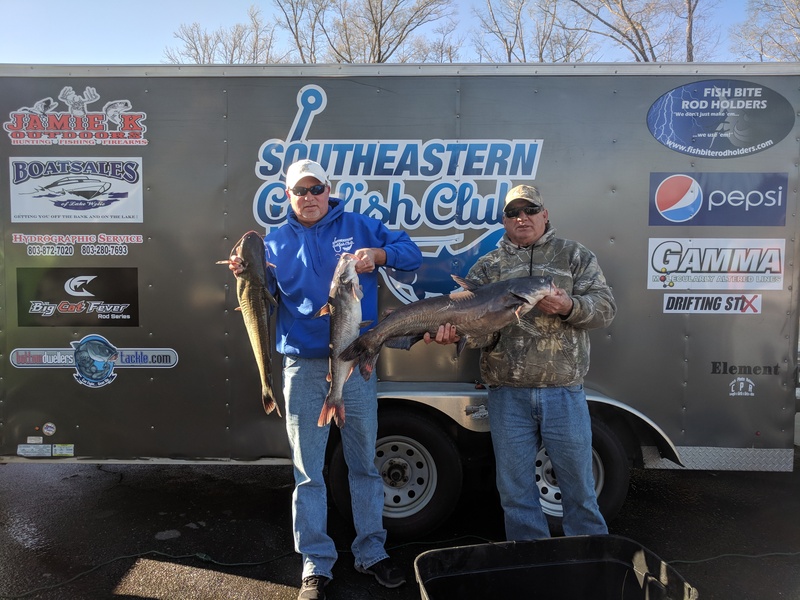 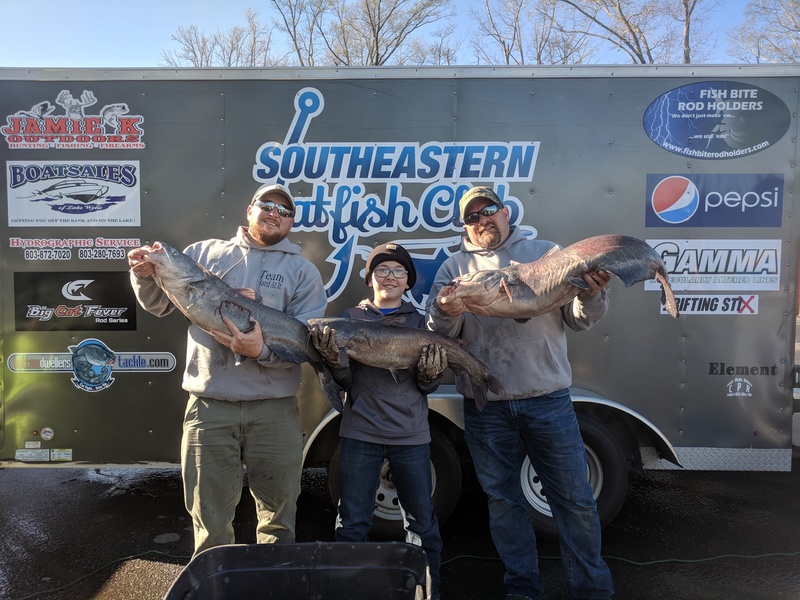 The Southeastern Catfish Club hosted its 7th tournament of the 2017-2018 season on Fish Creek Reservoir Saturday, March 3rd. 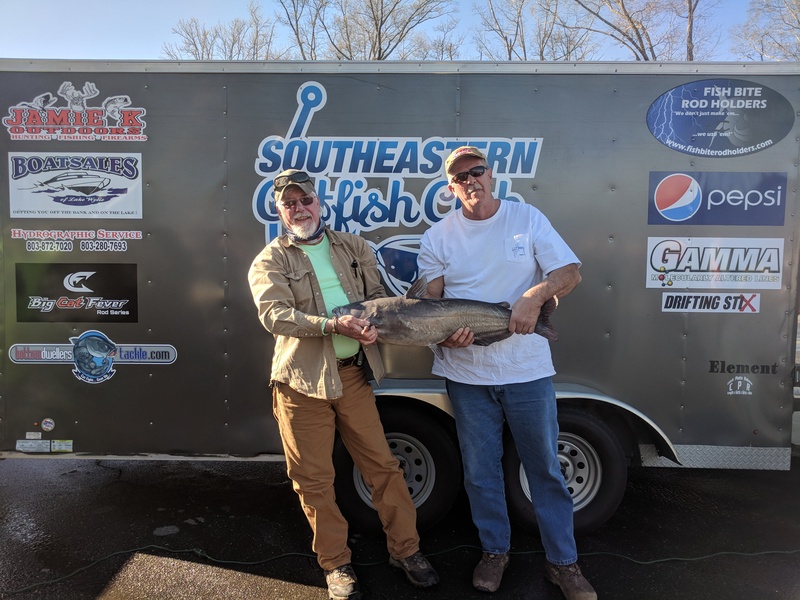 The sign-in table opened at 5am sharp, and several teams were already waiting in the parking lot. 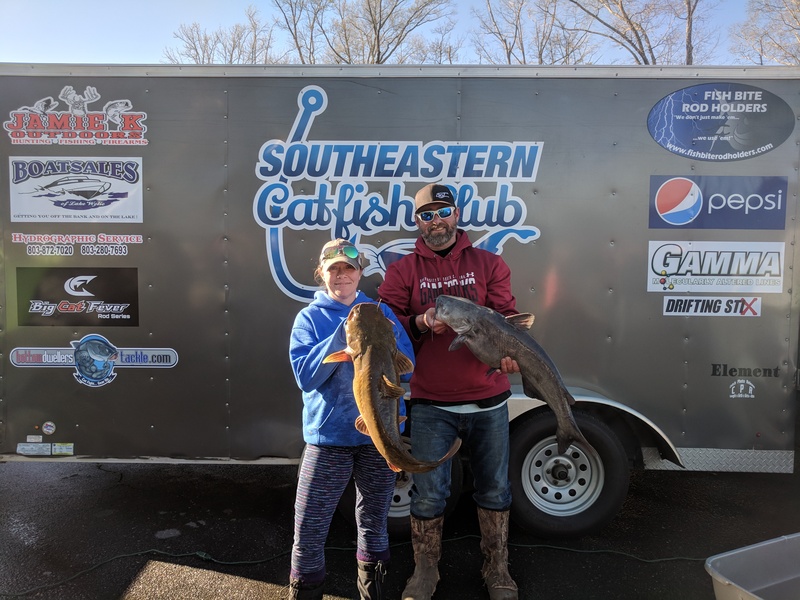 At blast-off, 32 teams and 84 anglers were ready to give it their best on the toughest lake on the trail and compete for the $3,200 purse! 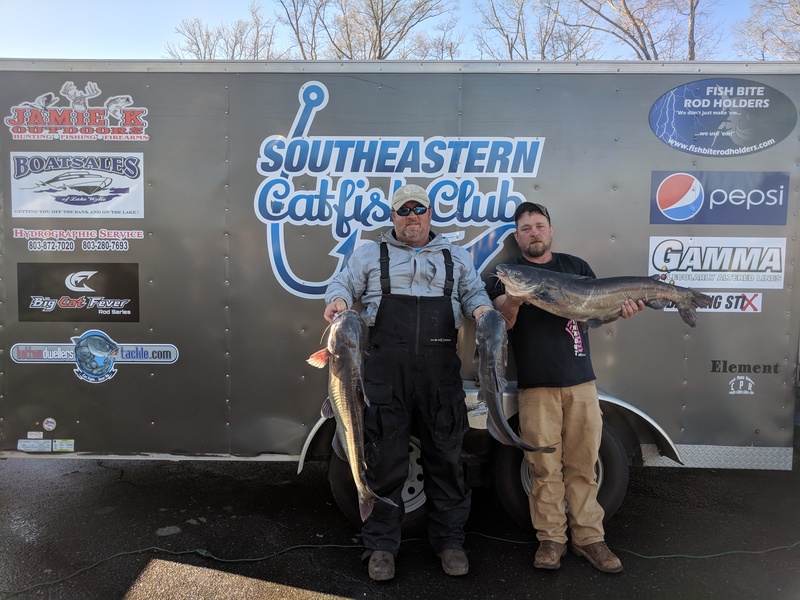 Rains throughout the week in the region muddied the lake from the river to the dam. 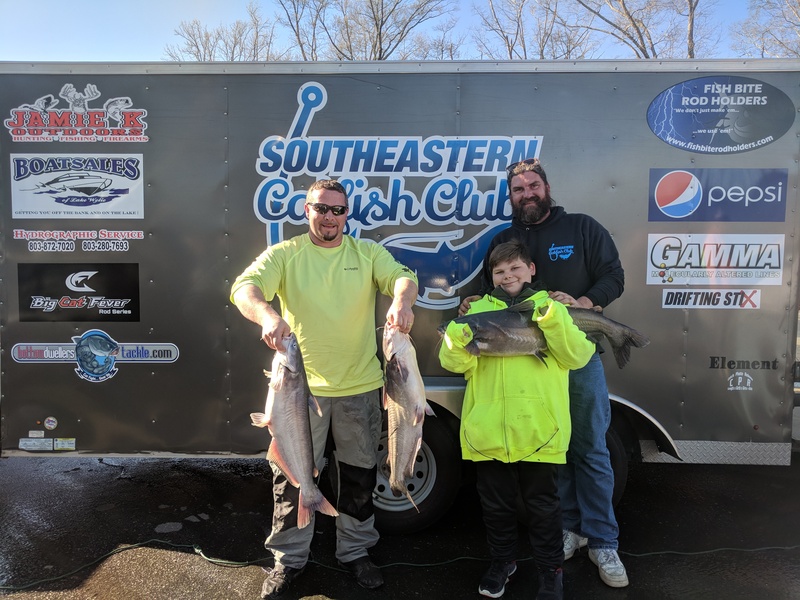 Winds were whipping early in the morning and only got stronger throughout the day making it difficult for teams to stay anchored or on a consistent drift line. 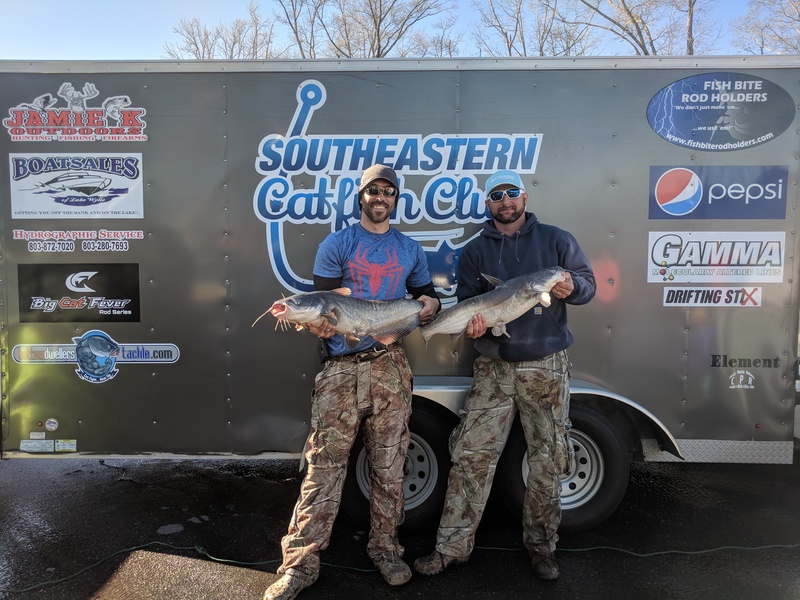 Reports were that the bite was very tough for most teams, and the stringer weights reflected it. 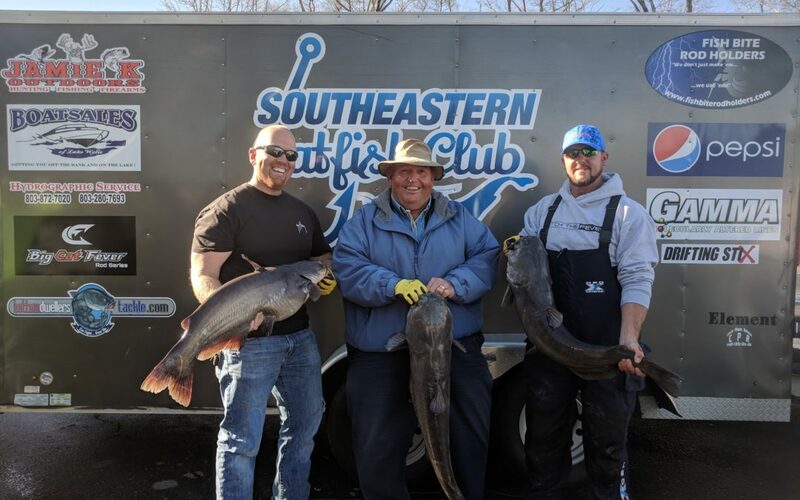 In the end, tournament trail vets Gary Morton Jr, Caleb Sturgis, and Gary Morton Sr. of Team Good Times showed everyone how it was done and finished 1st with a 67.04lb stringer. 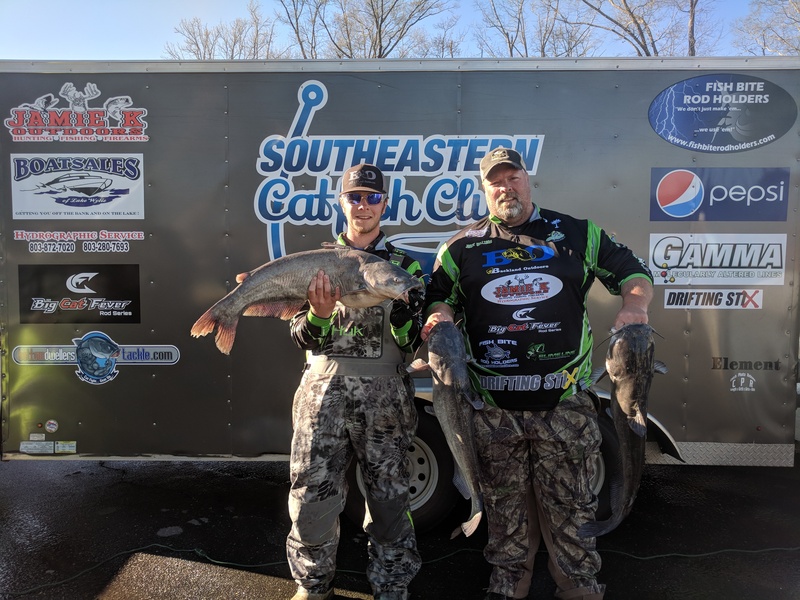 Their 1st place placed finish earned them a whopping $1,620! 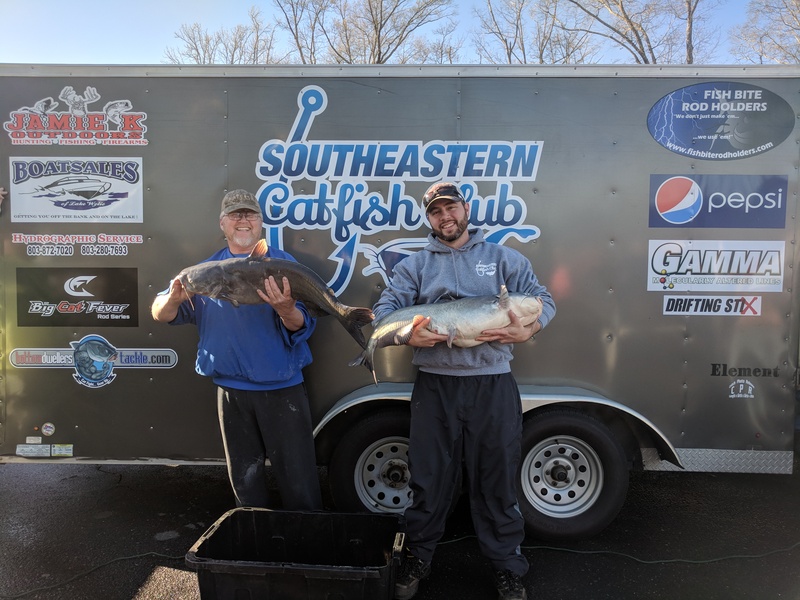 They also had 2nd big fish of the tournament with a 27.48lb blue and earned another $175 bringing their total winnings to $1,795! 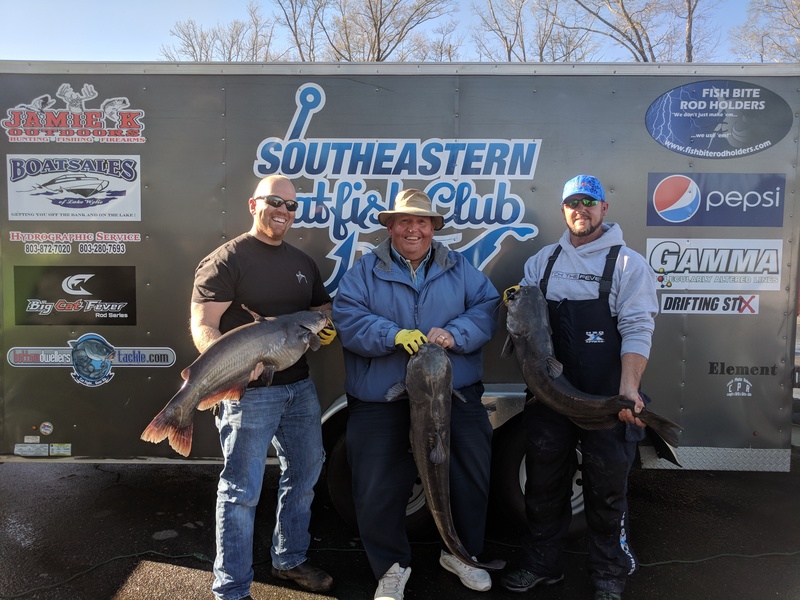 Anthony Williams, Josh Christopher, Cameron Christopher, and Layne Christopher of Team Hard At It finished in 2nd place with a total weight of 59.39lbs and collected $810. 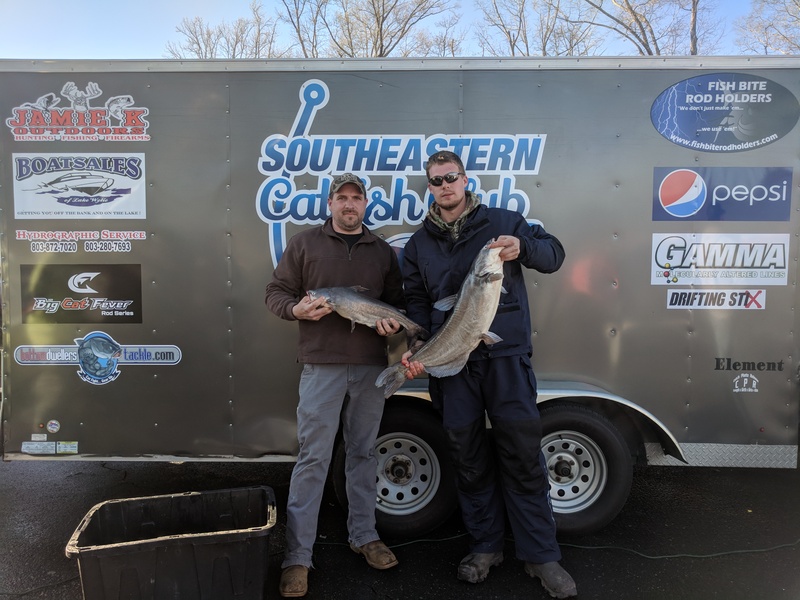 Jeff Manning and Michael Paciocco of Team Reelin’ the Blues finished in 3rd place with a 51.37lb stringer and collected $270. 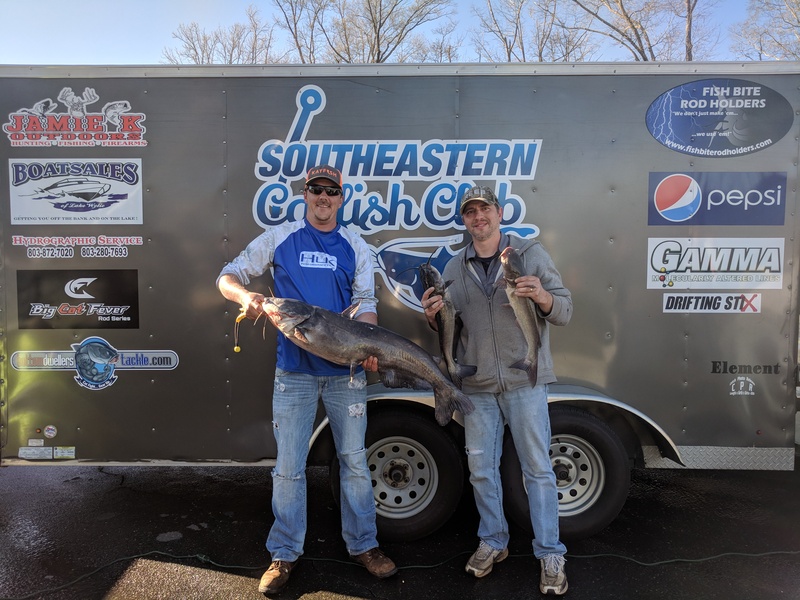 Dieter and Grayson Melhorne of Team Katfish had Big Fish of the tournament with a 33.93lb blue and collected $400. 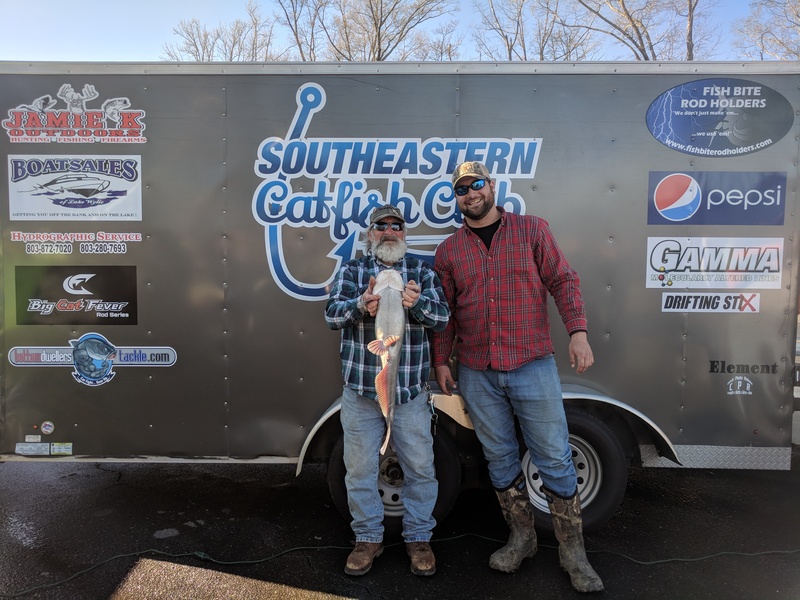 Congratulations to Gary Morton Jr, Caleb Sturgis, and Gary Morton Sr. of Team Good Times for their first win of the season! 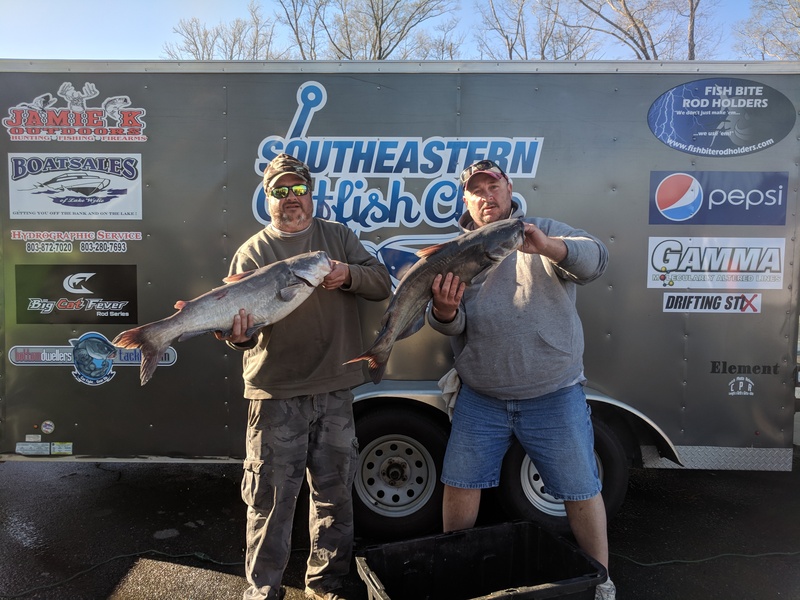 They put in alot of work, and it paid off! 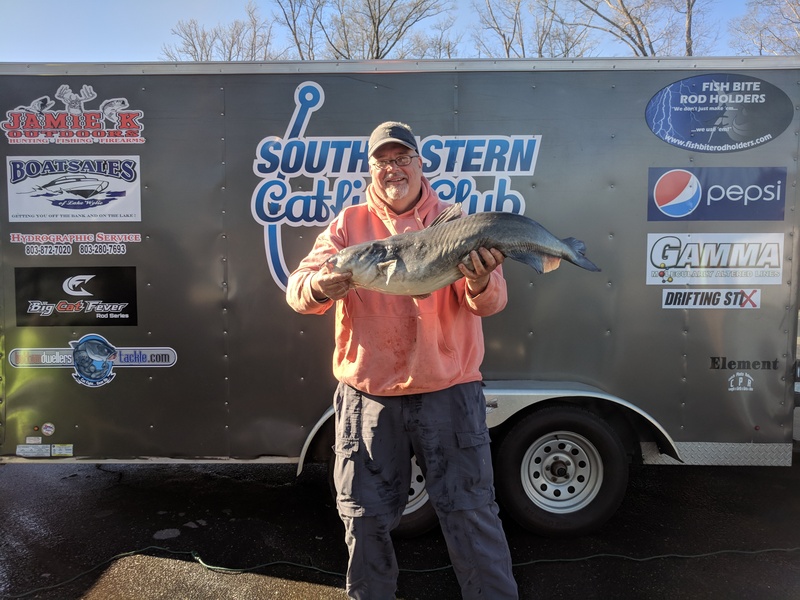 We look forward to seeing everyone next month back on Lake Wateree on April 7th!